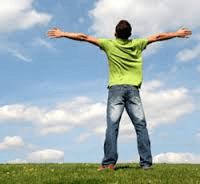 Addiction Treatment … that works! Trusted, Practical, and Evidenced-Based…Next Level Recovery is an outpatient addiction treatment center that keeps real life in mind along the road towards a lasting recovery. 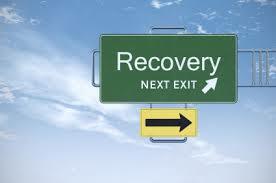 Next Level Recovery is customized to meet the individual needs of those involved with addiction. We refer to our patients as “clients” and expect them to engage in an active partnership with us as they work toward healing and recovery. Clients benefit by collaborating with our multi-disciplinary team of addiction treatment experts, who work in concert with individuals to help develop a strategic plan for success through recovery. Our professional team puts their experience with addiction treatment to work, helping clients implement effective strategies for a life-changing experience. Individual care and the ongoing pursuit of clinical excellence are hallmarks of our research-based, clinical addiction treatment program. Next Level Recovery leads with a down-to-earth and practical addiction treatment approach. Our team finds that they are best able to assist clients who are actively engaged in everyday activities. Clients are encouraged to explore work and educational opportunities as they participate in their addiction treatment program. Through the encouragement they find at Next Level Recovery, clients begin to feel connected and empowered as they rebuild and restore relationships with loved ones. Clients and families can call Next Level Recovery at 801-386-9889 for additional information about addiction treatment as well as ongoing classes and workshops. Next Level Recovery often shakes hands with Sober Living Properties aka Mike Brown’s house as a housing choice for addiction treatment clients. Clients seeking short-term supportive housing, with an established system of checks and balances, can safely reside in a “home-like” environment while participating in addiction treatment. Sober Living Properties promotes the values of Next Level Recovery and provides a model for each resident to follow. Sober Living Properties aids in addiction treatment by enriching our clients life skills, supporting them as they build new social connections and helps them to bridge gaps with family members, plan for employment and education, and aid them as they become self-supporting and confidently independent.